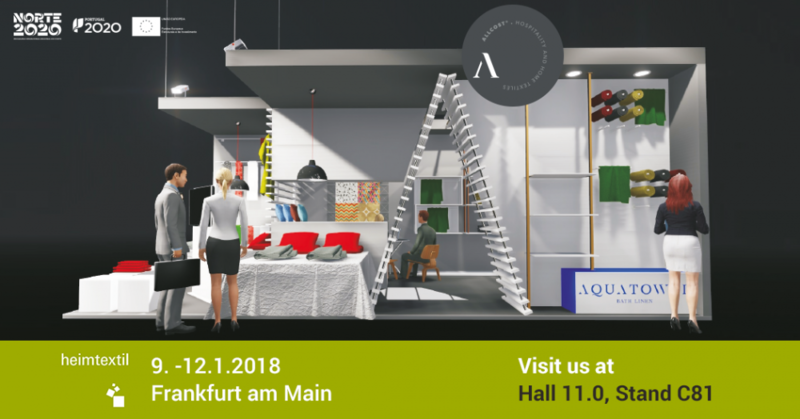 From January 9 to 12, Aquatowel will head to Frankfurt to be present in Heimtextil. The stand will be shared with the mother company, Allcost, and will announce the main Aquatowel bath linen articles and terry clothing, for home textiles. This is one of the main events in this area, being a perfect stage for the presentation of the main novelties of our articles, as well as, to follow the market trends.